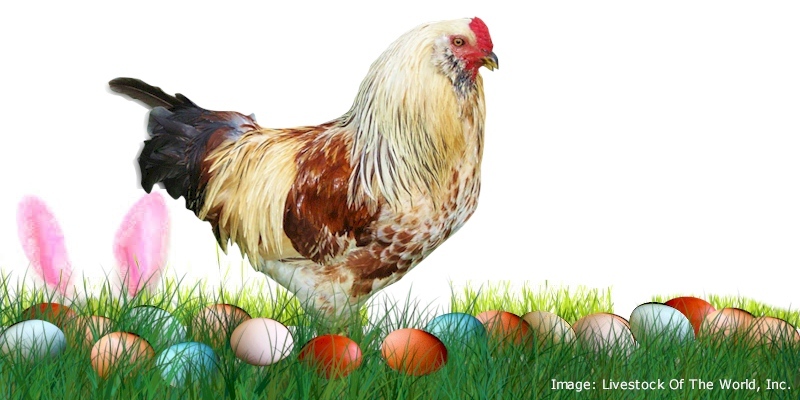 Easter Eggers are not technically a breed per se, but a variety of chickens that do not conform to any breed standard but lay large to extra-large eggs that vary in shade from blue to green to olive to aqua and sometimes even pinkish. Easter Eggers vary widely in color and conformation, and are exceptionally friendly and hardy. Since they are usually quite friendly to children and humans in general, they are a great choice for a family flock. Most hatcheries mistakenly label their Easter Eggers as Ameraucanas or Araucanas. Easter Eggers do not qualify to be shown, since they do not conform to a breed standard.